Brain disorders have reached epidemic proportions. Anxiety, brain fog, fatigue, depression, ADD, autism, Alzheimer’s Parkinson’s, and multiple sclerosis are just the short list of conditions affecting nearly everyone in some way. Why is this happening? What are we doing in our society that could have triggered such a disabling epidemic – one that threatens so many livelihoods and has so drastically reduced quality of life for so many? While there are many complex reasons for the decline in brain health in the modern world, I believe that one of the primary culprits may be something you are doing every day because you believe it is good for you: Eating a low-fat diet. For decades now, fat and cholesterol have been considered health food villains and largely demonized in the American diet. Since the latter part of the 20th century, we’ve been told by doctors, dietitians, and even the U.S. government, that fat would clog our arteries, cause weight gain, and even kill us with heart attacks. No wonder so many have chosen to drastically reduce the fat in their diets! This belief remains mostly intact, but fortunately, its days are numbered as science has begun to see the light and uncover the real truth about fat. One 2014 study in the medical journal Neurology found that, contrary to popular belief, there might actually be no association between high total cholesterol and stroke risk. In fact, other research has shown that low cholesterol may actually increase the likelihood of death from all causes. At the same time, some of the many side effects of statins – cholesterol-lowering drugs – include memory loss and brain dysfunction. The truth is that as the fattiest organ in your body, your brain is composed of 60% fat, and as much as 25% of your body’s cholesterol is found in the brain. So why would we deprive our brains of the very nutrients that compose it? Consuming cholesterol and fat is critical to the health and function of the brain – is, as it turns out, for all our good intentions, as a society we have been starving our brains of their basic building blocks. What’s The Best Brain Fuel: Sugar or Fat? Today, the standard Western diet centers around many forms and versions of sugar. From the refined carbohydrates that mostly make up junk foods (from fast food to cookies and candy) to breads, pastas, fruit, and juices, sugar makes up most of what we’re eating, and since it’s fat-free, somehow this dietary habit has gotten a pass. On the other hand, a ketogenic diet – where fat, not sugar, is the primary source of energy – has been shown to do some remarkable things for brain health. Healthy fats are a slow, sustainable form of energy, unlike the sugary roller coaster many find themselves on when their diets are primarily carb-based. If you look at the human being from infancy, you can see that biology knows best: as babies, we were all born relying on fat in the form of high-fat breast milk for brain development and energy. Bottom line: Brains that work optimally require a lot of energy, and from a biology and evolutionary perspective, the most sustainable form of energy for optimal brain health is good fats. There are many great lab tests that I recommend to help determine if your brain is healthy or not. For example, look into having homocysteine and fasting insulin tests done. These labs can give you insight into your specific case, as well as where to go from there. Changing the way you view fat and cholesterol can be overwhelming, especially if you’ve spent years of your life avoiding them. Start by educating yourself on the best sources of fats for your brain, including which fats are most effective at decreasing inflammation, which is linked to just about every brain problem. For example, arachidonic and docosahexaenoic acids are two forms of fat that play an important role in brain health. The most bioavailable sources for these brain foods are grass-fed meats and wild-caught fish. Coconut oil is also a wonderful plant-based source for your brain: the MCT (medium chain triglyceride) oil found in coconut oil has been shown to improve cognitive function. Monounsaturated fats like extra virgin olive oil and avocados are also beneficial to your brain. Functional medicine practitioners know that what works for one person may not work for another, but in general, adding in more healthy fats is a wise move. But how much is right for you? The ideal ratio of fats, carbohydrates, and proteins should be determined on an individual basis. 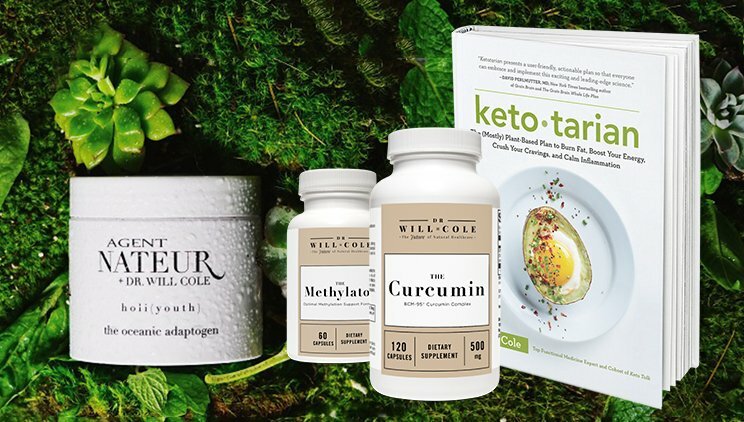 Some people don’t do well on ketogenic diets, for example, and targeted brain natural medicines depend on your unique needs. A functional medicine practitioner can help you figure it out. Take advantage of a free phone or webcam evaluation to see if functional medicine is right for you.